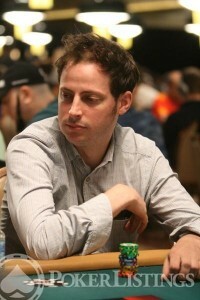 PresidentTracker: One of the world’s 100 Most Influential People of 2009 at the WSOP in 2011. Plenty of talk about polls as we head into the homestretch of our 2012 US Presidential election. Who’s up, who’s down, who asked what and margin-of-error how? Just remember: no matter where you are on the political spectrum, in the horserace journalism of it all, the mainstream media are primary beneficiaries of a tight race. At least that’s what I keep telling myself after making some rather significant wagers on essentially a “gut” feeling that the national economy was improving and no way more than 43 percent of Americans would vote for a guy who strapped his dog to the roof of a car. But proper analysis is apparently not so simple. No wonder so many pundits are looking to a former online poker semi-pro to tell us who’s the best bet for president. The Signal and the Noise came out the chute in September on the New York Times bestseller list, where it’s currently #15 among all non-fiction books. And at the time of this posting, the book ranked #1 on Amazon for books about math, #1 for technology, and #2 for politics and social sciences. The House Committee on Financial Services released an official statement this evening which announced the awaited introduction of a new federal internet gambling bill by Rep. John Campbell (R-CA). The new <shall-we-say> #campbellbill is, at the moment, identical to the last amended HR2267, whose most recent version can be found-> here. 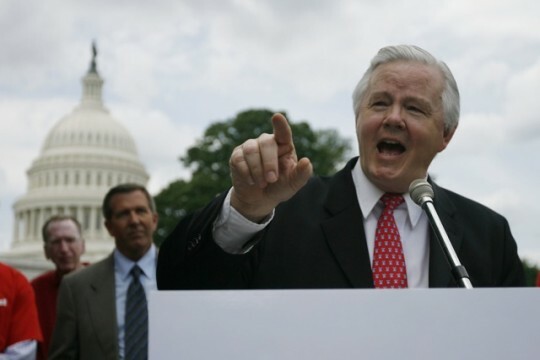 WASHINGTON – The Internet Gambling Regulation, Consumer Protection, and Enforcement Act was introduced in the House today by Congressman John Campbell (R-CA) with Congressman Barney Frank (D-MA) as a leading sponsor. Congressmen Ed Perlmutter (D-CO) and Peter King (R-NY) are also leading co-sponsors. The bill is identical to H.R. 2267 that was passed out of the House Financial Services Committee on July 28, 2010 with bi-partisan support. The bill would establish a federal regulatory and enforcement framework under which Internet gambling operators could obtain licenses authorizing them to accept bets and wagers from individuals in the United States. The legislation comes in response to the enactment of Unlawful Internet Gambling Enforcement Act (UIGEA), which restricted the use of the payments system for Americans who gamble online. As a recap, HR2267 passed through the Financial Service Committee last July. It never took further steps in Congress last year, despite a significant sweat. Harry Reid floated a draft of an internet gambling bill in December, known lovingly as #reidbill in Twitter, which also never made further official progress on Capitol Hill. HR2267 contained no mention of the now dreaded “blackout” period that was the most infamous part of the #reidbill draft. You can read the full statement by PPA, giving Campbell/Frank a virtual pat on the back-> here. 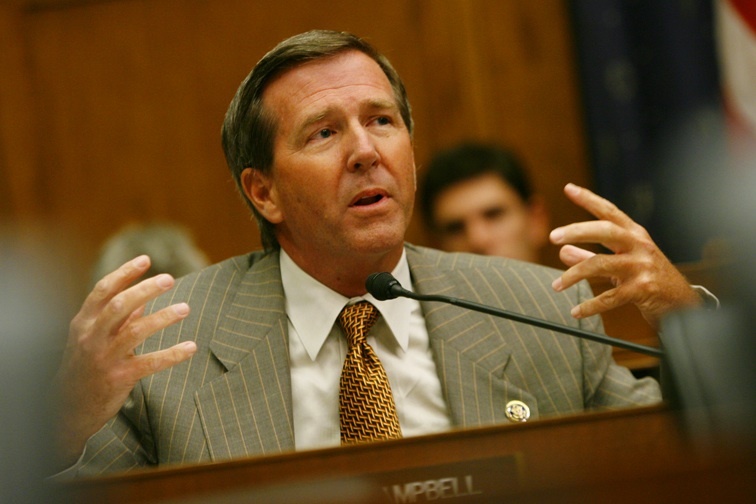 Rep. John Campbell isn’t ready to just throw his hands in the air over the uncertain future of online gambling in the US. Rep. John Campbell (R-CA) intends to take the lead in a Republican-controlled US House of Representatives on the internet gambling debate by bringing forth legislation similar to what Barney Frank (D-MA) has been pushing for years, according to Gambling Compliance. Frank has reportedly signed on as the lead Democratic co-sponsor. You may remember Campbell from his efforts to remove sports betting from last year’s Frank bill. Campbell will be on hand in San Francisco in May as a keynote speaker for GIGSE 2011. The Global iGaming Summit and Expo was once one of the pre-eminent “annual” gaming conferences in the world, but went on a two-year hiatus after a move from Montreal to Malta. Returning to North America, and specifically US soil (California, no less!) seems to be a big deal for the conference and the gambling industry overall. GIGSE says it has no political agenda — though its 2011 lineup of speakers suggests licensed and regulated online gaming in the US really is a matter of when not if. 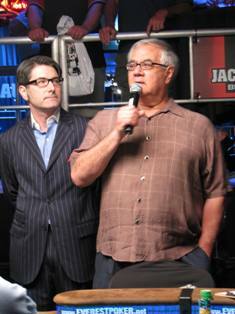 In addition to Campbell and likely supporters of his bills such as the PPA, conference speakers will include representatives from the Department of Justice, California Indians, other Native American gaming interests, Caesars Interactive, iMEGA, the Kentucky horse racing industry, various lottery interests, Jeffery Pollack’s Federated Sports+Gaming … and several others who have long found themselves at opposing ends of mutual interests. Sounds to me like this could be the biggest think-tank confab of people shaping our lives ever. Or, at a minimum, if they can’t all put their heads together to reach the same overall endgame, it could turn into a massively awesome battle royale that could include the throwing of chairs. It’s a rare moment to have online poker discussed on late night TV, but Tuesday night had two separate programs dedicated time to the topic. Drama was out in full force this past week, with allegations of hypocrisy, cheating, and extortion exploding through the poker world, which was still feeling aftershocks from an Annie Duke/Daniel Negreanu feud that had reached new levels of nastiness after Negreanu’s aggressive C-bet. But the poker fight that really blew up late last week was between the Commerce Casino and PPA, and shows how heated political matters can get in a very short period of time. Though Barney Frank’s online gambling bill made it out of committee last month relatively unscathed, one troublesome opponent came from the Commerce Casino in California. 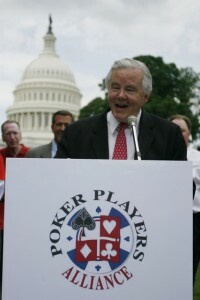 In an effort to squelch the impact of their dissent, the PPA sends its million-plus members word of an open letter to the Commerce (signed by a few dozen top-level pros) and launches PlayersBeforeProfits.com, making it easy for poker players to bombard the Commerce with tweets, emails, and phone calls voicing displeasure. Commerce board member Tom Malkasian, who testified against HR 2267 last month, turned up his rhetoric against the PPA, saying they are ignoring key issues. The Commerce has a right to fight against unfair competition from offshore operations, he tells PokerNewsDaily, and its something they must do to protect California revenue, American jobs, and poker player interests, he says. At least Duke and Negreanu seem back on the same team, having both signed the initial letter and both tweeting to help get thousands of signatures for the PPA in just a couple days. Duke hints at plans for a boycott. In what’s becoming an increasingly hostile back and forth, the PPA appears to be winning the PR battle, now with more than 6,000 signatures and countless tweets to Congress. The Commerce counters with even bigger numbers and a sign their side is growing, too. They mass-email a press release late Friday, announcing a unified front with other major California card rooms, including the Bicycle, Hawaiian Gardens, and Hollywood Park. These card rooms claim they collectively represent more than 20,000 California employees and handle $13.4 billion in wagers, all of which would be severely threatened by the Frank bill. The letter suggests HR 2267 is too broad, and would be more acceptable if it tried to legalize poker-only, not all online gambling. It also says the Commerce welcomes the emails, but asks concerned players to use their new email address supportonlinepoker@commercecasino.net. Twitter suggested lots of support for the idea, but few if any have thus far declared intent to cancel plans or skip the upcoming Commerce Hold’em Series, which kicks off Wednesday with a $500k Guarantee. We just learned the NFL is backing off its long-held opposition to online gambling — removing a major obstacle from HR 2267’s path to becoming law. It was the King-Meeks amendment that assured the league the bill would exclude sports betting. One key supporters of this measure was John Campbell, a decidedly right-wing Republican from California who, incidentally, wrote the amendment that calls for a “blacklist” of “unlawful internet gambling enterprises”. Rep. John Campbell supports the rights of Americans to gamble online, so long as they can’t bet on football. With both the Campbell and King-Meeks amendments passing by voice vote, later that day Campbell signed on as the 70th cosponsor (and fourth Republican) willing to align themselves with online gambling. Also from Gambling Compliance … This may be kinda old news now, but something else GC made available for all us poker plebes is their July interview with Rep. Jim McDermott (D-WA), sponsor of HR 2268, the legislation that lays out the structure for a new federal online gambling taxing machine, and the “companion bill” for Barney Frank’s HR 2267, which, of course, sets up the bureaucracy that poker players collectively have been clamoring for. This interview came before the HR 2267 mark-up hearing, where the bill moved forward with a bigger margin of bipartisan victory than expected … presumably made easier by the various amendments added by representatives from across the country and across the political spectrum. Because you can’t have McDermott’s bill, 2268, without 2267 — and 2267 means little in terms of practical application without 2268 — they totally go together. But until the two are merged, this dual-bill process also creates additional spots for cutthroat backstabbing shenanigans parliamentary maneuvers across the aisle should some influential sort not like the way the bill is taking shape for their client/big-donor’s competitive interest. I’m pretty sure that’s how it works … but to borrow a phrase from McDermott, not gonna say 100 percent. So … watch and see? Editor’s Note: After seven months of what seemed like stall-and-get-nowhere — and a delay yesterday until today — the poker-friendly legislation that Barney Frank (and the PPA) has been pushing and refining since 2007 faces a critical vote. It’s an all-in situation … if we “win”, legislative matters related to online poker and gambling still have a ways and means? to go before seeing the desk of Barack Obama. However, if we lose — as we did by a tie vote back in 2008 — it’s back to the drawing board. You can watch it all going down here, assuming there aren’t shenanigans in play to delay matters further. And because there’s always a chance I don’t know WTF I’m talking about, Pokerati has deployed a Beltway team to not only keep us posted on today’s developments from the Hill, but also to provide a primer on what’s really in play today for the future of internet gambling and/or poker in America. You can follow reports from the Hill today on Twitter with @Scarlet_LV, and below is more about what she’s walking into. 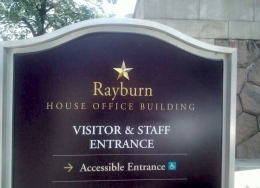 If all goes well, the House Financial Services Committee will decide today the fate of HR 2267, which seems to be the keystone for any new laws that stand to eliminate burdens of the UIGEA and establish a framework for the future of licensed and regulated online poker in the United States. Today’s hearing is a “mark-up”, where the full committee debates amendments to a bill, and votes on a motion to send the bill to the House floor with recommendations on the amendments to consider for a decisive vote. Make sense? I’m pretty sure that’s how it works — but I never would’ve expected two weeks ago when dealing the WSOP that I’d be on Capitol Hill watching a different (but not too different) game with so much riding on the deals being cut. For more explanation, see house rules and parliamentary procedures here and here. H.R. 2267 Internet Gambling Regulation and Consumer Protection, Consumer Protection, and Enforcement Act. BradÂ Sherman â€“- his amendment will likely look to limit licensing to US-only companies and those that have not been acting “outside the law”.Â Supposedly â€œsmaller internet gaming companiesâ€ might be able to get around this if added to the bill, but bigger companies with a notable TV presence (such as FullTilt, PokerStars, and UB) would not be able to so easily if at all. Spencer Bachus / Michele Bachmann â€“- perhaps with elements of Sherman’s amendment included (I peeked over the shoulder of some lawyer suits holding it yesterday, he’s looking to completely gut the bill and more regulation to strengthen anti-gambling components of the UIGEA. With these potential amendments, you get a sense of the driving forces currently behind the bill, and the key players. These became apparent during last week’s hearing — which sources tell me was rather unusual for a bill like HR 2267 to get a second hearing like that — as testimony from Members and witnesses helped shape matters that will be in play today. As the mark-up proceeds, here are the different Members and groups claiming a stake in this piece of legislation. The markup hearing of the House Financial Services Subcommittee started shortly after 10am. The schedule is to discuss HR 2267 until 11am ET, then take a one-hour break. The Committee will return at 12pm for more discussion with a vote scheduled by 2pm ET.